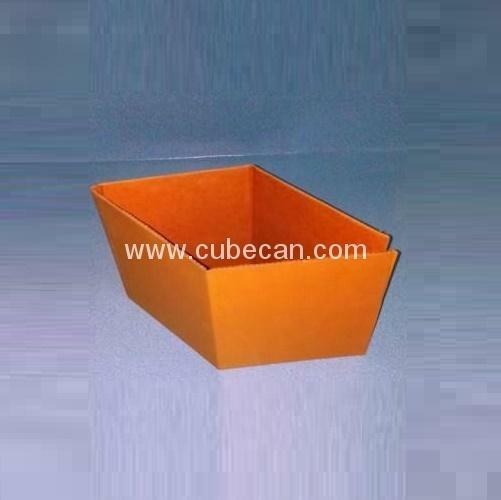 The Cubitainer carton is a corrugated fiber board overpack designed for the use in conjunction with the LDPE cube. Corrugated: Recognized as one of the easiest to recycle packaging components - PLUS advanced corrugated technology for increased performance materials reduction(double layers wall carton). Provides decoration choices that go beyond silk-screening or labeling. Cubitainer carton's four panel design offers twice the surface space for product branding and usage information than comparably-sized rigid options. 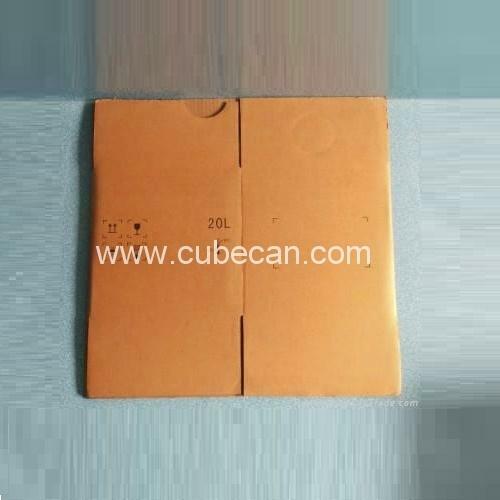 Design options include die-cut opening perforated "tear-out" section for LDPE Cube access. 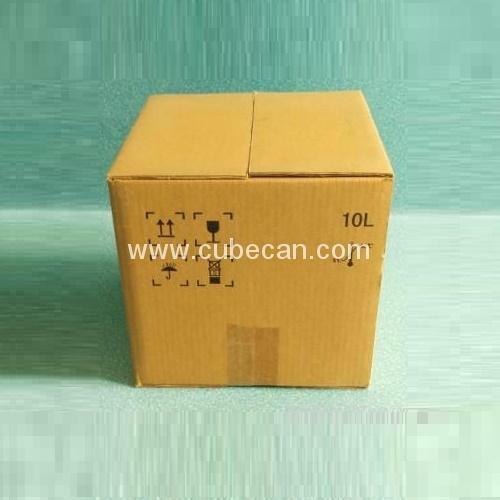 Larger-sized Cubitainer cartons can be fitted with optional Plastic Carrying Handle. Technical specifications are readily available to assist Customer direct purchases. Assembled Cubitainer units weigh less than rigid containers of comparable volume.